John MacGilvary has been promoted to vice president of sales for Berkshire Hathaway HomeServices Verani Realty (Verani). In addition, Maggie Kerkhoff and Deb Sutton were named managers of Verani’s Londonderry office. MacGilvary has over 30 years of sales and marketing experience and most recently managed Verani’s Londonderry office. While manager of Londonderry, he oversaw a team of over 150 real estate agents. As managers, Kerkhoff and Sutton will be handling compliance, onboarding and training programs, recruiting new agents, and building Verani’s professional presence in the region. MacGilvary, a former top producing sales agent and real estate business coach, is a a Certified Mentor for Buffini and Company, a Certified Residential Specialist, an Accredited Buyer Representative, a Certified New Home Specialist, and a Berkshire Hathaway HomeServices Luxury Collection agent. He trains and coaches fellow real estate agents on how to become highly productive professional business owners. He’s served as director for the Greater Manchester and Nashua Board of REALTORs and director for The CareGivers, a nonprofit organization that helps elderly and disabled citizens live an independent lifestyle. 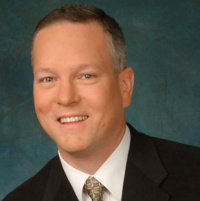 Before entering real estate, MacGilvary served as the director of marketing for Dell Computer and an industry analyst for Gartner, covering the international personal computer industry. 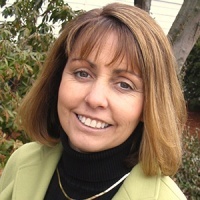 MacGilvary has an MBA from Bentley University and a BS from Plymouth State University. Sutton has been in the real estate industry since 1998. 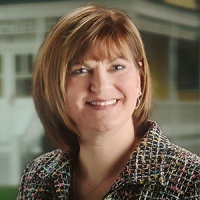 Her past experience includes co-owner and managing broker for At Home Realty, LLC, which was founded in 2001, and managing broker for the Brin Realty Group Nashua office, which merged with Bean Group in 2015. In addition to her work with individual buyers and sellers, Sutton also has experience working with developments. She is an Accredited Staging Professional, a Certified Buyer Representative, and a member of the Granite State South Board of Realtors® (GSSBR). Kerkhoff has over 13 years of experience in the real estate industry. Prior to joining Verani, she was managing broker for Coldwell Banker Residential Brokerage in Bedford, where she hired and trained agents, increased profitability and productivity, and managed office marketing. She was named their 2016 Manager of the Year for New Hampshire and Maine. She is a Certified Negotiation Specialist, is Relocation Certified and is licensed in New Hampshire and Massachusetts. Recently, she was named the Greater Manchester/Nashua Board of REALTORs REALTOR of the Year for 2017.